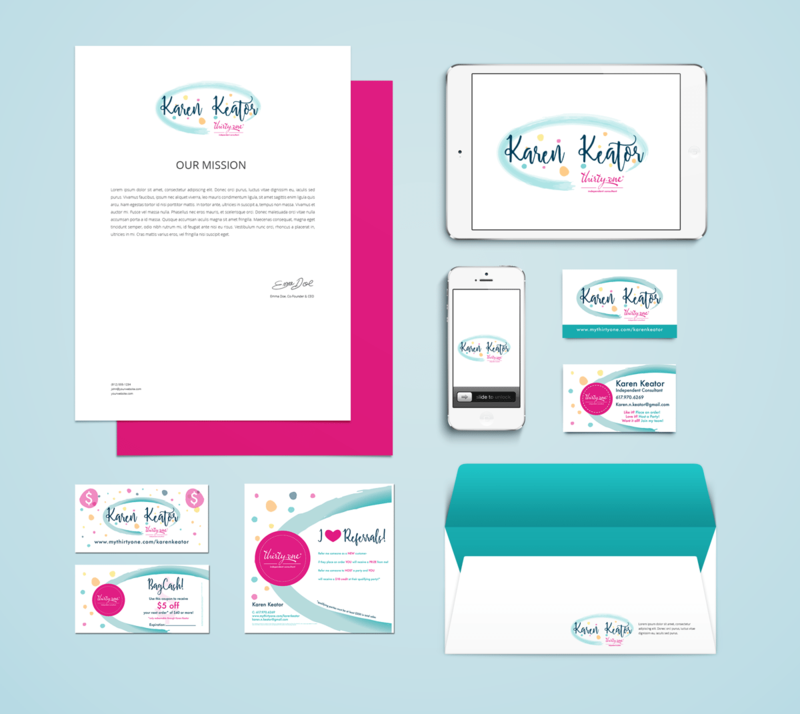 Karen Keator – ThirtyOne Consultant | yay! A thirtyone consultant wanted to stand out from her peers by developing her own personal branding. Keywords: bright, colorful, cheery, positive. When I decided to start my journey with a Direct Sales company I knew Lara would be the perfect person to help brand my new business. She listened to my thoughts and added her own creativity. She was happy to go back and forth with me to come up with the perfect design! Lara is super responsive and easy to work with! I look forward to creating more marketing material with her in the future!